This issue includes a dossier called “Urban Interventions: Politics and Violence of the City,” which features essays on urban marginalization and the prose poem “Necropolis” by Sinan Antoon. Other essays in this issue include two analyses of works by Walter Benjamin, the first on the visual elements of his essay “The Work of Art in the Age of Mechanical Reproducibility” and the second on his interpretation of Baudelaire. Contributors include Sinan Antoon, Ariella Azoulay, Jennifer Bajorek, George Ciccariello-Maher, Loïc Wacquant, and Andrew Stefan Weiner. 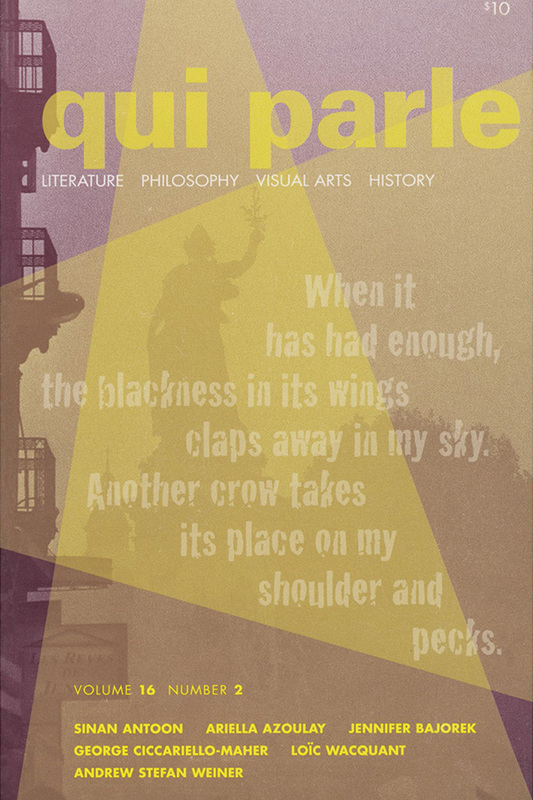 View the table of contents for Qui Parle 16:2, at the journal's online site.